I thought I'd write something about one of the last equipments connected with the cold war because information concerning this is dwindling rapidly. 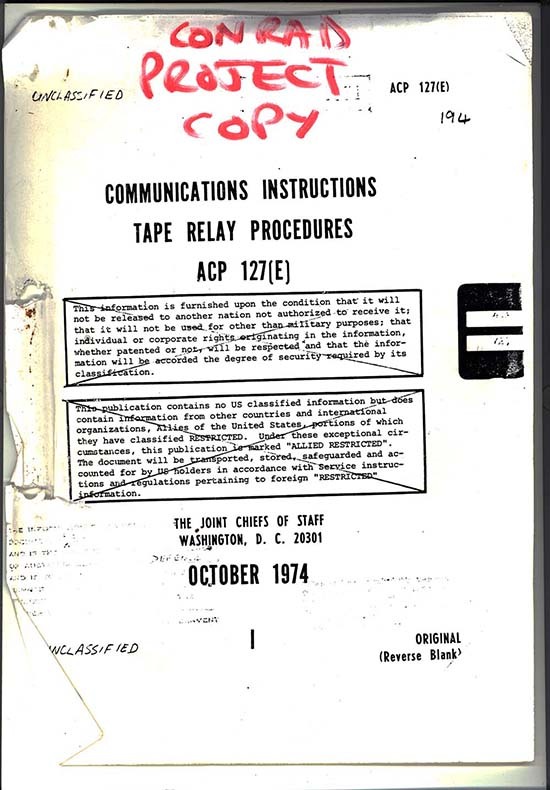 Originally the thing was highly classified but now that equipments are in the hands of amateur radio enthusiasts, and operational details declassified, I guess it's OK to reveal some background. Also, the system seems to have been expunged from the memory of the School of Signals. Although I attended lots of meetings at Blandford, when I visited the Radio Museum there in April 2016 there was absolutely no trace of the system, like it had never existed. Questioning staff revealed they hadn't even heard of it. OK, MoD were a bit slow getting the thing ordered and Plessey were a bit slow getting it made, but it did exist and 2 Brigade did use it. I think it would make a neat museum exibit, but as one chap explained.. if it had been completely scrapped nothing would be left for them to exhibit. Maybe one of the containers, still fitted out and lurking somewhere, could be donated to the School of Signals? 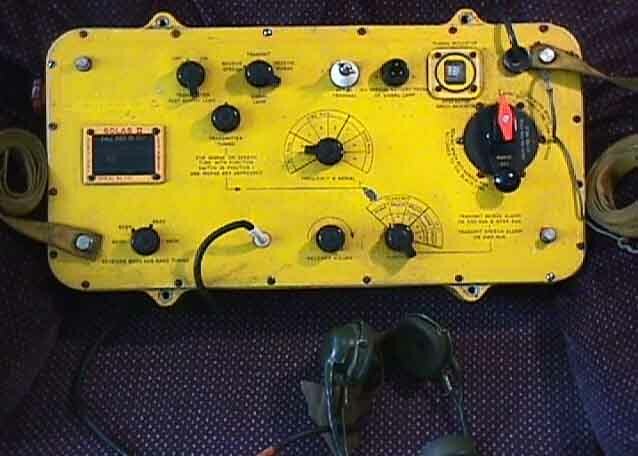 Over the years various names have changed, including the name of the radio system. Below is the earliest reference I can find and appears to be dated 1984 or 1985. 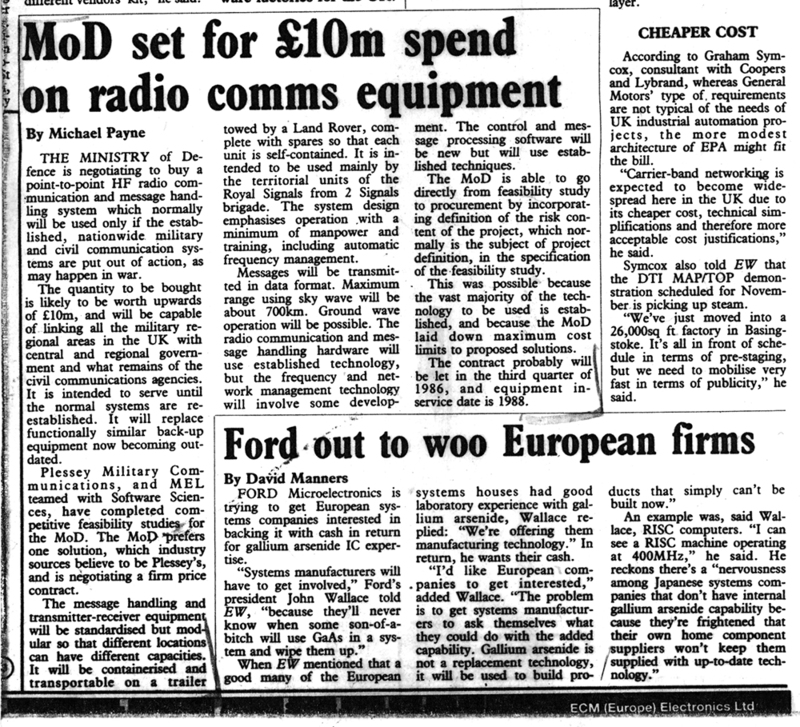 The Home Defence Radio System was specified by MoD to enable communications between RSGs and other centres (for simplicity I'll refer to the whole lot as RSGs) after a nuclear war. At some point the government would declare TTW or Transition To War, at which time HDRS would commence deployment. Hopefully if all went to plan the HDRS stations in their cabins, if not already in place, would be driven to their destinations and safely stored below ground, protected against anything nasty happening on the surface, to be rolled out once things got quiet. The National Grid would be wrecked and mains power in most places, if not all would be gone. There would be no UK-wide telephone network as we know it, and mobile phones (at that time in their infancy) would be useless as all their infrastructure would be gone, not least because of EMP damage to electronics. After the initial phase the main problem is radiation. In fact, truth be known, the UK is too small for survival. However, during the 1950s and beyond, survival was thought to be a possibility if people followed government guidelines, one of which I recall was hiding under your dining table, perhaps with a door on top for added protection. Can you imagine looking for a screwdriver with which to remove a door with a massive mushroom cloud rising into the sky down the road? It's not easy to imagine what things were like for ordinary people during the height of the Cold War. I remember during the Cuba crisis thinking the world had come to an end when there was a clap of thunder. A real danger to health is the production of isotopes which can last for ages. Many years ago a UK power station incident resulted in Strontium 90 being formed in the locality and getting into the food chain. The human body has trouble working out the difference between Calcium and Strontium 90 so builds bones from the latter if it's available. The Strontium 90 in bones then results in leukaemia. The Government's response was to re-name Windscale to Sellafield, I suppose like putting one's head in the sand? At the time a Government spokesman said "there's no evidence blah blah", but behind closed doors real action took place. They renamed the town. That should fix things.... The publication below was produced the year before in 1956. Of course, hardly anyone read it. After all for 1/6d you could buy almost three bags of sweets from Woolworths. Here's the new label with NCRS replacing HDRS. 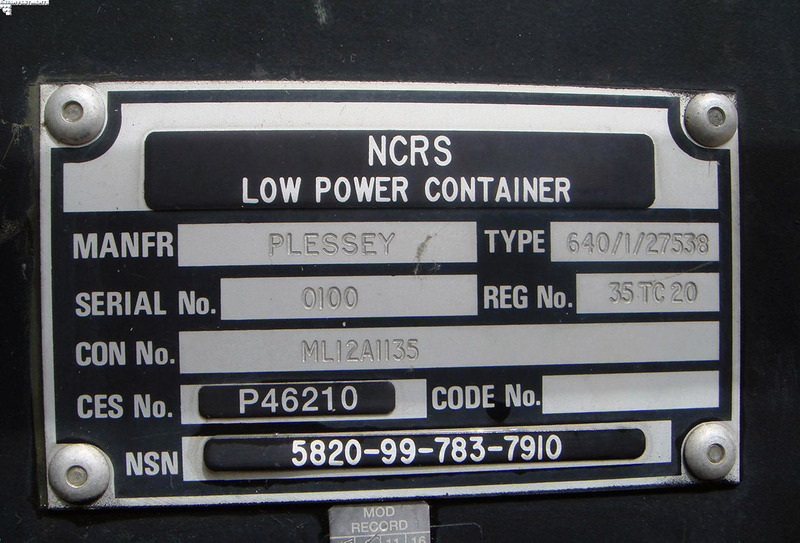 NCRS cabins, including the example below, are now being sold as "Government Surplus". Are plans totally abandoned? If so why are we going to renew Trident? Presumably, if we renew Trident we don't need HDRS? There was an RSG some quarter of a mile from our holiday cottage in Llanbedr. It wasn't particularly well hidden because there was a line of poles carrying overhead wires to it. I bet the biscuits there were really crisp. The CND movement was responsible for finding lots of these sites and gathering outside them waving banners etc. so they were no longer secret. Our nextdoor neighbour had a really important job in the local council. He was Binman Supremo for West Hampshire and he told me he had a reserved place in our local RSG in the event of a nuclear war. Presumably, the powers that be must have envisaged at least one or two surviving binmen that needed managing? I don't think his family had reserved places, but I bet really important people took their families with them. Something akin to MPs employing their family members for vital tasks such as making their tea. How did we get to talk about this? One day I happened to park an HDRS cabin outside his house when I stopped for a break. I think he must have recognised it as something he'd been briefed on? Maybe he thought the end was nigh and I'd been sent to pick him up? 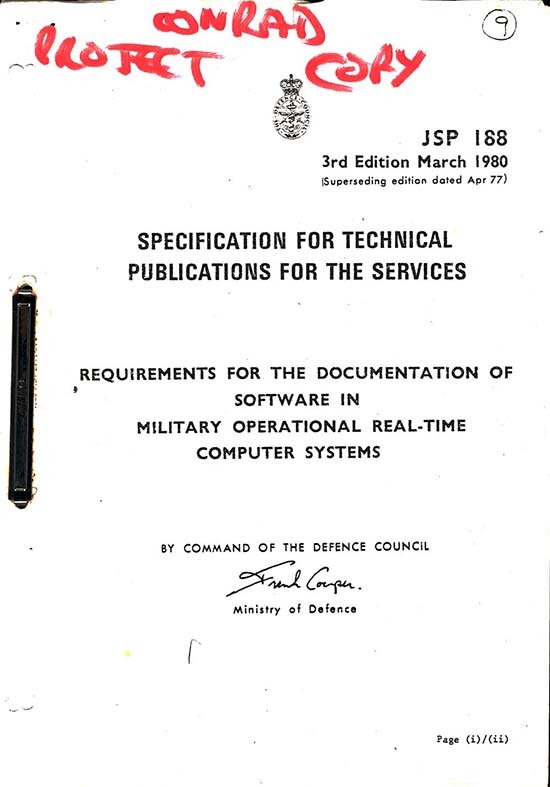 Anyway, I'd heard of RSGs on and off during my time with Plessey in support of the Defence of our Realm (that was the magic phrase used to get off jury duty). There were lots of obscure contracts being won and lost amongst the UK defence contractors. I saw a list once and there were literally hundreds of them. Anyway, I digress again; back to HDRS. 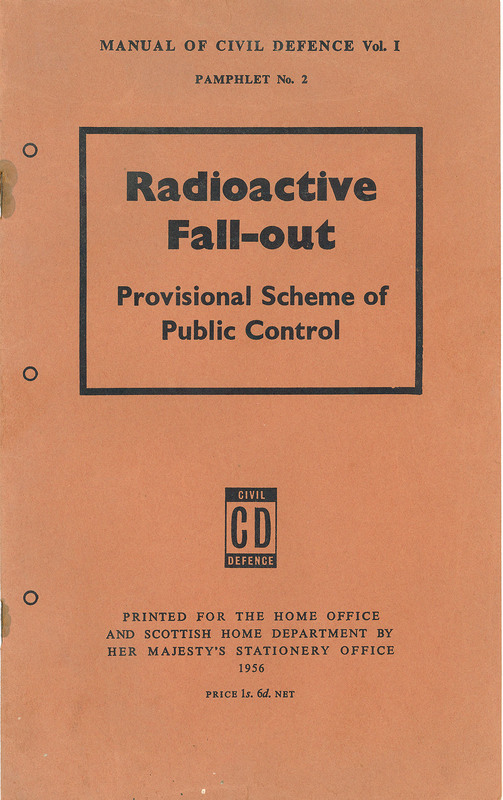 One day on our local radio station I was listening to the lunchtime news and heard a snippet about a new radio system connected with a nuclear war. The next day I was told to visit Plessey Southleigh to meet a particular chap and report back. I was quite surprised to find it was about the very same radio system that had been on the news and I was being asked to help out with the project. This was back in the 1980s and it seems the Plessey site at Southleigh had messed up an early venture into its development. Such was the secrecy of the project that the boffins either couldn't, or hadn't, involved the assistance of engineers with knowledge of manufacturing. The project had just ground to a halt and MoD had cancelled it and demanded a re-bid. Southleigh had lots of clever chaps designing radios. I remember seeing lots of fancy digital receivers in their lab when these were pretty scarce and extremely expensive. Some of the ideas they came up with were difficult to put into production or just years too early. Anyway.. the rebid had been made and the project was back in business with the same people and the same hardware. Thinking about this fact some 30 years later it seems a bit odd. First, an idea of what HDRS was all about. After a nuclear war, Britain would be in what was known as a "post-holocaust" phase. Large areas of the UK would be in ruins, radiation levels would be dangerously high, and the ionosphere would be seriously upset. Good heavens, you might say.. what on earth can one do? Well, given a job to decide what to do, any large government organisation, will just produce loads of documents. In fact the more documents envisaged, the more people needed to produce them and, most importantly, the more managers required to control the overall situation. You can probably imagine the scene and picture the empire that was to be created. The part of this particular empire that we liaised with was headed up by a brigadier general in London. Of course, he reported to someone higher in the tree and he to someone else and so on. I quote below two similar fragments from Hansard, via Google, of an HDRS topic... both dated 27th April 1990. Close to the very top of the tree was ex-Eton schoolboy, Conservative, Archie Hamilton. At least he was perched there on 27th April 1990. He was a mere junior minister at the MoD between 1986 and 1993, so would be aware of the trials and tribulations of HDRS. Who was right at the top? Well, during the life of HDRS the top job was the Secretary of State for Defence: all Conservatives, Michael Heseltine, 1983-1986, George Younger 1986-1989, Tom King 1989-1992, Malcolm Rifkind 1992-1995 and sad-man-on-a-train Michael choo choo Portillo 1995-1997. As an aside...I seem to recall George Younger visiting Plessey Christchurch in the late 80s.. maybe to discuss HDRS or just probably so he could claim to his cabinet colleagues he'd actually touched a piece of Ptarmigan? Exercise "Brightfire" or "Bright Fire" (no-one really knew which) was the first time the HDRS system had been tried out. Not completely tried out of course as the nuclear holocaust bit was missed out. I can clearly remember dozens and dozens of Land Rovers with their trailers, and low loaders, leaving Southleigh in September 1989 to spread over the whole of the UK from the South Coast to the North of Scotland. Lots departed from PLessey Ilford as well. §Mr. Redmond To ask the Secretary of State for Defence if he will indicate the date, purpose and scope of Exercise Bright Fire 1989. §Mr. Archie Hamilton Exercise Bright Fire was a two-phase exercise held in September and October of last year and was designed to test home defence communications across the United Kingdom. Mr. Redmond : To ask the Secretary of State for Defence if he will indicate the date, purpose and scope of Exercise Bright Fire 1989. Mr. Archie Hamilton : Exercise Bright Fire was a two-phase exercise held in September and October of last year and was designed to test home defence communications across the United Kingdom. Now some brief technical details. The ionosphere is the medium by which long distance communication is achieved. Short-wave signals bounce off the ionosphere and land at varying distances from a transmitting aerial. 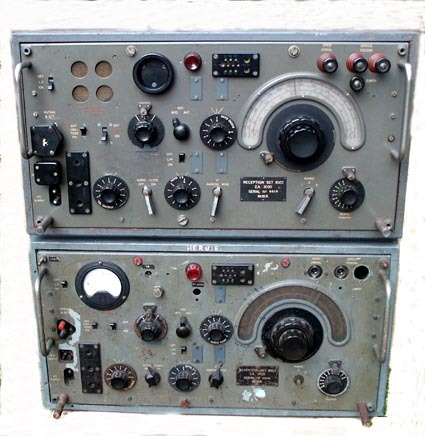 VHF was not an option; this method of communication is primarily line-of-sight and typically good, at nominal power levels, for only tens of miles, hence the choice of short-waves which can cover the whole of the UK, given an appropriate frequency and power level. HDRS was designed to automatically work out the best frequency with which to communicate with a specific member of the group and to monitor and make changes to maintain contact. It's special and unique feature is that it was also designed to cope with ionospheric disturbances caused by nuclear detonations. The system was designed to use code rather than speech, however it was quite flexible and I was able to have several QSOs on 80 metre SSB from a trailer at Plessey Christchurch during a lunch break in 1990. Relying, for the moment on my memory.. Each container was based on 4 wheel close-coupled chassis. It had a rear door and on the wall opposite on a shelf were two VDUs and keyboards and underneath there was a small computer frame using 21 printed circuit boards carrying 8086 hardware with the program held in EPROMs; the type with a U-V erasing feature. Whenever a new program was received from the software sub-contractor it took a day or two to reprogram the EPROMs. It took ages because of the large number of radio stations and each station I think had something like 32 EPROMs. Most stations were in mobile containers, but some were to be used at fixed sites. Input-output was by teleprinter located on stands behind the two operators seats and adjacent to each was a Danish HF radio transceiver. Perched above the VDUs on a bracket was an HF modem. Plessey manufactured a total of 104 stations of which 89 were installed in cabins. 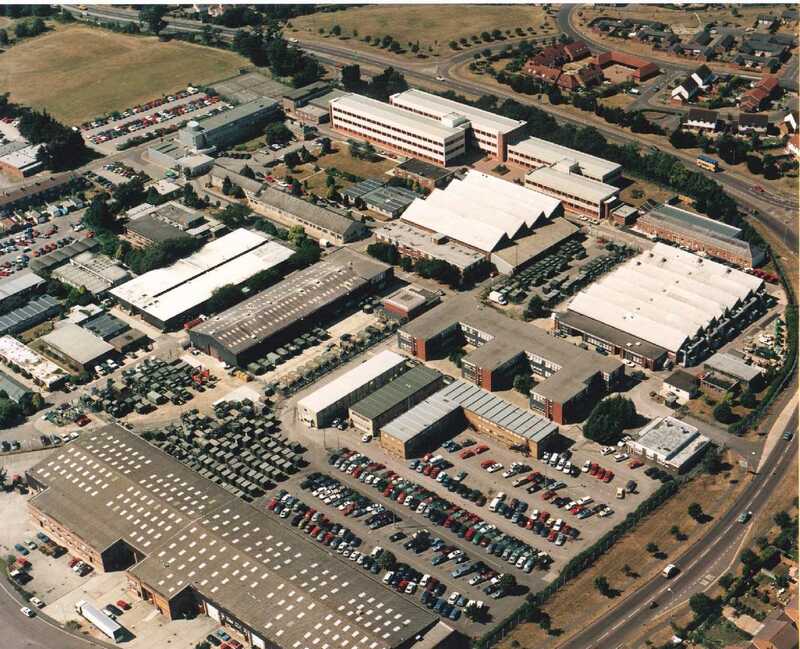 The development work, initially at Plessey Southleigh was completed at Christchurch and cabins fitted out at the Plessey factory at Ilford, since demolished (that's the factory not Ilford itself). It wasn't too easy a job because all the basic hardware had already been specified and purchased and the software sub-contract well under way up at Liverpool. The Liverpool site was well versed in computer design, software production and digital signalling having been in that business for around 30 years. or click here for the US PDF version which is better because it has pictures! 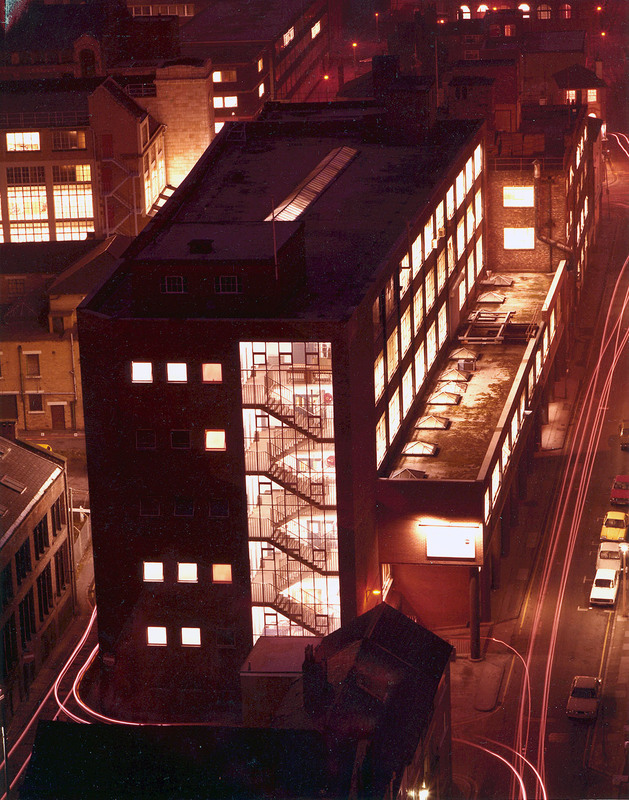 Below, the Plessey factory at Ilford in 1982. The HDRS cabins were fitted out in the three long buildings to the right centre of the picture. Important meetings were held in a penthouse suite of offices at the centre of the main building adjacent to the main road. This office suite, complete with bathroom and kitchen, remained exactly as they'd been built in early 1923 for the chairman Allen Clark. Even though Allen Clark died in 1962 the penthouse remained virtually untouched and it was like travelling back in time to 1923 whenever a meeting was held there. Space within the factory seemed limitless and the manufacturing buildings were a warren of passages and rooms. Scores of wiring loom jigs using large nails in large wooden baseboards were hanging on the walls in some areas. These had been made for various equipments, military vehicles and aircraft in which Plessey had a hand. I reckon if you'd asked them to make an R1155/T1154 they could have just raised some dockets, drawn parts from the stores and made them. At the end of the HDRS manufacturing phase, rumours began to spread of factory closure. My contact, the Manufacturing Director whispered he had an eye on the carpets in the penthouse, but at the following meeting he was fuming. Someone had sneaked in one night and not only pinched the lot, they'd taken the carpet from his office as well..
Now, if you Google-Map Vicarage Lane, Ilford, not just the carpets but everything has gone and all you can see are modern houses and absolutely no sign at all of the giant factory which withstood all the efforts of the Krauts to destroy it in WW2. Did you read my true story. It deals with the static stations and spares part of the HDRS contract? During the long drawn out acceptance phase I remember one of the Southleigh lads nipping off to London. They'd had an urgent call from a London embassy. I think from the Iranian Embassy, but he said he wasn't allowed to tell me. Anyway, the next thing I noticed was one of the Skanti radios was missing. Southleigh had sold it. You can't do that I remarked, but he just said Southleigh had bought them so they could sell them... anyway they ordered a replacement so I guess all was well...Maybe MoD gave their blessing? I don't know. Dwelling a little on exports during the cold war and the decade following. As it was Plessey "Defence" Systems doing the exporting, naturally we sold Defence equipment so had little trouble over export licenses. Other companies had a difficult time, but we seemed to be able to sell stuff to almost anyone (except Libya, to whom we were refused the sale of a command and control system with air defence radars). 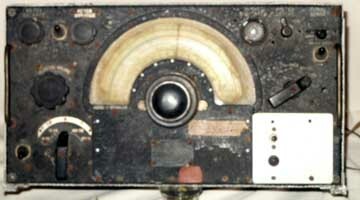 The supply of radios was usually tricky because it was often the US that made the ones our customers were keen on. When South Africa demanded Collins equipment a deal was done with Israel. We could buy (or was it borrow?) radios from Israel and sell them (or was it lend them?) to SA but US suppliers weren't allowed to sell to SA via the UK. Presumably someone writing small print somewhere had slipped up? Collins radios just appeared in the factory and we fitted them into Project Rodent cabins. Project Lion was very interesting. This was two air defence systems for Egypt. They'd just broken off with the USSR and had loads of serviceable Russian equipment so Russian radios were fitted into their communications cabins. The cabins themselves were awkward. These had to be procured to conform to Russian standards and were fatter, taller and shorter than our standard types in order to mate up with their handling gear and prime movers. 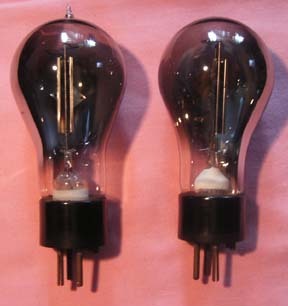 The higher power stages of their radio equipment used valves and supposedly would have been better for surviving EMP. Back to the main subject... when the HDRS contract was being negotiated and during the initial, failed development phase, it was known at Southleigh as "Conrad", Control by Radio as can be seen by annotations below. The treatise above on software documentation was well meaning but a waste of someone's time. It doesn't matter how many documents are produced about managing software development. The end result hardly ever works properly. In fact I suspect "never" rather than "hardly", but who can prove it? I bet not many readers have ever heard of "Marge" from the 1960s. This comprised five XL9 computers housed in 20 to 30 seven foot stove enamelled and chrome cabinets. There was also what was probably the first air defence radar system to be supplied outside the UK, would you believe to Burma. That was also in the 1960s and it also used the XL9 computer. I think it was called Falcon? Maybe someone can let me know if this is correct? The Falcon codename also got used again. Was it the air defence system for Ecuador? Here's links to de-classified information. Quote "In evidence to the ongoing Scott inquiry into British arms sales to Iraq in the run up to the 1990 invasion of Kuwait, UK Ministry of Defence official Colonel Richard Glazebrook has confirmed the supply of radar-jamming equipment built by the now-defunct Plessey company. According to Glazebrook (and confirmed by JED's own inquiries), Plessey supplied Iraq with between eight and 10 examples of its Type 405 battlefield radar intercept, analysis and jamming system during 1987. According to open sources, 405 is a vehicle-mounted ground-to-ground system which can be configured to operate in one of four (1-2 GHz, 2-4 GHz, 4-8 GHz or 8-16 GHz) frequency bands. An integral electronic support measures (ESM) receiver subsystem both intercepts and analyzes incoming signals and generates parametric data (pulse repetition frequency (PRF), pulse width (PW), dwell time, scan rate and emitter bearing) to cue the transmitter chain. You should also read the book "Sand Blind", by the late Julian Rathbone. Not many people know this.. in 1983, Plessey Airports who designed and built airports exclusively abroad were busy finishing off a new airport in Grenada. The new radars had just been delivered from Cowes and were still packed in their crates. These were state of the art equipments and much better than US equivalents. Suddenly Grenada was invaded by US troops and all the radar equipment pinched and taken back to the US. Of course Plessey complained but nowt happened. I think the timing must have meant something and I understand they knew exactly what they were looking for? I think the news media reported that Russia was building the airport so they could land their giant bombers there, but this was absolute tosh. After the cold war had gone away MoD decided they'd cancelled the contract too many times already and, because of inflation, the deal they'd done in the early 80s seemed pretty cheap by the 1990s, so HDRS was renamed NCRS and would make a nice toy for various signals regiments to play with. I suppose something akin to a 19 Set or a 52 Set network run by the cadets NCRS would be a jolly nice toy for the TA. Something to do other than polishing boots and squarebashing. True, the hardware was getting a little long in the tooth and the EPROMs had mostly reached end of life after so many software changes, but maybe fault-finding could be another jolly interesting task to keep everyone on their toes... I wonder if the old EPROMs were ever changed? In fact, and this will have been long forgotten, HDRS had one feature that made it unique but was (thankfully) never used. It was designed to work immediately after a nuclear holocaust and communicate tolerably well using a knackered ionosphere. You can imagine what this would have been a bit like if you listen on 2 metres during an auroral opening. Stations frequently sound like they're using raw AC for powering their transistors and these are the ones to which you actually choose to listen. Specific HDRS stations would be talking to other specific stations and not just calling CQ and engaging with the clearest. The problems were partly to be solved by using relatively low speed data and teleprinters, not voice and headphones. Stations would move around the HF spectrum looking for reliable paths with decent skip and minimum data errors. Whilst this was going on pairs or nets of stations had to maintain their connection, hence software was extremely complex and results heavily dependent on luck as much as engineering solutions. OK, reliability was not particularly good during trials, but think how tricky it is to simulate the ether in a laboratory. Test beds comprised a network of transceivers each with its control computer spead across a half dozen benches. The network used coax cable, dummy loads and attenuators rather than the ether. This made conditions, in radio communications terms, pretty well perfect. Now, consider real conditions on a typical day, let alone night, across the 3 to 30MHz HF band. You've got local man-made interference, hugely powerful short wave broadcasts, lots of jammers, splatter and just general hash, echoes and fading. And, back in the 80s ,even things like the "woodpecker" (the Russian over-the-horizon air defence radar system). Take a software build to a real exercise and there can be (and there were) real difficulties. Take a typical situation on a good day. Station A meets Station B on 5.2MHz and they're joined by Stations C and D. Skip between A and D is excellent but between A and B is marginal. C can't hear A but can hear B and D. Software in C gets a bit upset. Software in B also gets upset. Station A suddenly finds B has faded out. Software is triggered amongst stations to try and make contact again. Pre-arranged frequencies are tested and attempts are made to restablish the net. Add to this lots of finger trouble. Operators misread their instructions and mess up proceedings. One goes off for lunch and an aerial somewhere else blows down in the wind. Operating spot frequencies were wrongly specified, wrongly entered into computers and times were mixed up. Usually, when it really mattered, Sod's Law ruled. Exercise Bright Fire resulted in thousands of reports. These had to be collated and sorted into different categories, mainly determined by their content or lack of content. Eventually the software team was presented with the first set of reports, "probably concerned with software bugs". The hardware team got their fair share too. A door that wouldn't stay open in a gale. An aerial stake bent when bashed with a sledgehammer into land atop the white cliffs of Dover and a trailer that rolled over and over and over and smashed to smithereens on the M6 when being towed behind a Land Rover tootling along at "25mph", plus countless trivia. The operators chairs aren't acceptable. The bench is too low. The bench is too high etc etc. The "exploding chair" was the subject of at least three meeetings, but that's another bike shed story.. The fact that the exercise went tolerably well, in fact really well according to some people, it must not be forgotten that the cold war was coming to an end. The system was already redundant. The possibility of a nuclear wasteland dotted with HDRS cabins was now well nigh a bad dream. What a wonderful opportunity to declare the system to be not fit for purpose. However, Plessey was not to be put off. The ton of paperwork was to be analysed and steps taken to correct all deficiencies, hence the countless meetings. All very well, but rectifying problems with a team of 50 engineers, programmers and managers would not be cheap. Like a headless chicken, the project stumbled on. Software changes were made, EPROMs erased and refilled with fresh data, lab tests proceeded apace, that is until the software subcontractor decided to pull out. Up in Liverpool, remote from the day-to-day MoD involvement, someone had seen sense and declared enough was enough. Our programmers can be put to work on something more rewarding must have been the thinking. I used to work at Plessey Liverpool before moving south. When I met the Liverpool HDRS team years later I recognised some of the people. The team leader was a member of the heavy gang who'd worked in the factory... strange. Our boss at the time was short of qualified people having decided that software was the future not hardware. Engineers were set to work on software projects and mostly did well, however the unions insisted that no-one was to be excluded from retraining programmes, so aptitude tests were organised and lots of new trainee programmers resulted. Below the picture of a "Rodent" cabin (nothing to do with mice, it was the name chosen by Armscorp in SA) is a rare picture of the Plessey factory in Cheapside, Liverpool. For those that know about such things it was a "List X" factory. The photo below shows a building modification. If you look on the lower roof you'll see a metal frame next to a roller door let into the side of the 3rd floor. Through this door were passed communications cabins used in air defence systems sold to Egypt, South Africa, Ecuador, and Qatar in the 1980s. Some Sundays when the city was deserted a huge crane arrived to lift a container in or out of the factory. Nobody ever guessed what we did. Bournemouth Airport was the first destination of finished containers, where foreign military aircraft shuttled in and out on a regular basis, also picking up containers from other Plessey sites at Addlestone (computers and radar displays) and Cowes (3D-radars). Around the time that the HDRS contract had been negotiated the Liverpool site had split. 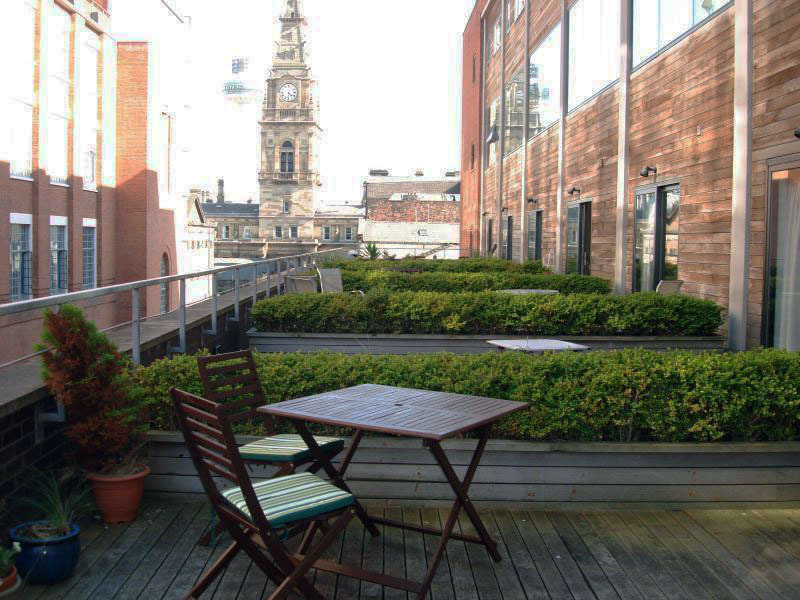 The old premises in Liverpool city centre had been vacated and turned into luxury flats. Most of the staff had moved to a new building in the suburbs where they could get on with their main job of developing and manufacturing cryptographic equipment (and finishing off HDRS software). In turn, Plessey Crypto at the Wavertree Technology Park was sold off and the factory closed down years ago. 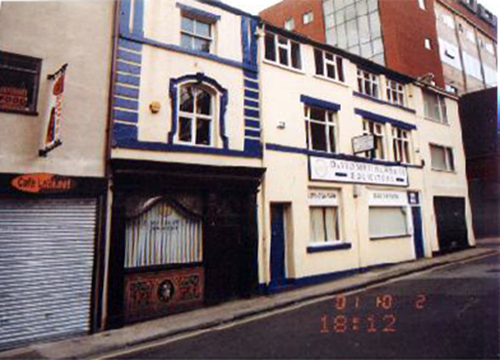 I can't find a picture of that site, but I think it's the building now occupied by Barclays Bank. Initially Crypto occupied the top floor of the Cheapside factory where all sorts of cryptographic equipments were designed, including, BID950 and BID1000, then manufactured on the lower floors on production lines with "Music While You Work" playing over loudspeakers. Here's a recent view of the roof adjacent to the roller door... quite a change. Why were containers lifted up to the third floor? Well, the building used steel pillars encased in concrete and these were too close together on the lower floors. Not enough space in which to manoeuvre the containers however, the third floor had less pillars and had just enough space to move the containers on inflateable air bags. The containers were about 40 feet long and 8 feet square. One of the weirdest things ever was when I traced my great grandad's address in 1881. I discovered he'd lived at 33 Cheapside, Liverpool. Just 100 years later in 1981 I was working at 39 Cheapside, a few doors away. Below, third property from the right, my great grandfather's home in 1881 and towering over the street, the Plessey factory. On the right the Plessey factory about to undergo conversion to luxury flats. In those days the factory wasn't there of course as it had been built specifically to house the development and manufacture of the computers required for the air defence system that replaced the wartime "chain-home" system. 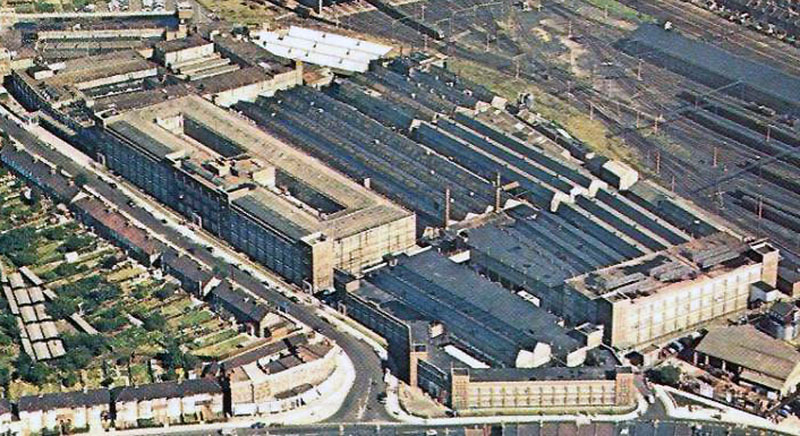 100 years ago on the site were a few buildings, the largest of which seems to have been a paint warehouse. My great grandad's house is still there. It's now a solicitor's office. 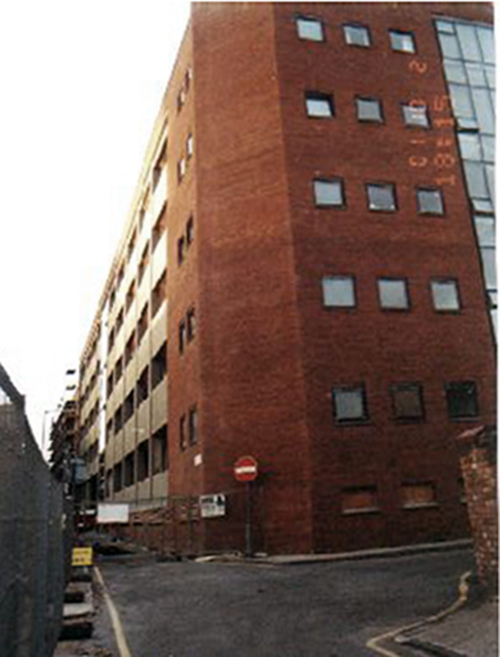 The building opposite to him, and still there today is called the Main Bridewell. It's a police station and cells built around 1860 are now student flats. You can just see it below past the end of the modern telephone exchange on the left. Anyway, as far as the new Plessey Crypto in their new factory in Wavertree was concerned, HDRS was a real drag to the business and one day they just decided to stop work. The last software build was despatched and the lab cleared of equipment. A big lorry was hired, all the test bed equipment was loaded and the lorry set off in the direction of the south coast. Later that day the (unexpected) lorry arrived at the Plessey Defence factory at Christchurch and was admitted to the site.. oops. My phone rang and I was asked where the stuff could be unloaded. What stuff? I trotted off to see what was going on. There was a huge lorry completely filled with radio equipment and the driver and his mate demanding the lorry be emptied so they could return to Liverpool. Below is a picture of the Plessey Christchurch site and, if I'm not mistaken, you can see the HDRS containers adjacent to the staff car park. For those that are interested the bike sheds are just outside the perimeter fence, centre left with the half-dozen curved roofs. The seemingly haphazard site layout reflects the original SRDE site. Older buildings still carry the old SRDE names to this day. "SD2", "SD5" etc. The aerial attracted much attention. Take its erection for example. The thing was a giant affair using lots and lots of wire and supported by a huge guyed mast built from large fibreglass tubes. From memory the mast was supported by eight guy wires secured by metal stakes. The original aerial was changed later to a pump-up type, but the original one was a rather fine thing, with excellent HF performance, and requiring lots of real estate. It had to operate over the whole shortwave band and be fairly quick to put up. One day I was asked to help put one up to provide figures to MoD. I recall it was a relatively easy thing to do, at least on a sunny day in the grounds of Plessey Southleigh. It was said that the original building, finished in flint as was the custom in that area of Hampshire, was commissioned by the owner of Tetley Tea. Overlooked by the staff canteen in the centre of the lawn was an iron age barrow and, behind that where we erected the aerial, was a large field with no rocks. A footnote: The original aerial was perhaps the first thing to be ditched because, although it was OK for deploying a few times (never more than once in ernest I must add) a different design might be better for extended use. Armed with sledgehammers we bashed in the eight stakes. No problem at all, however judging from the condition of the stakes after Bright Fire, things hadn't always gone so well. Some were badly bent. Clearly the stakes had met resistance. Pseudo-technical hangers-on at the wash-up meetings had a field day... literally. The vociferous pontificators being quite senior people were good at bullying and Plessey not wishing to be threatened took the easy way out. We'll buy bigger, larger stakes and submit these for MoD tests, as they'd insisted. After all losing £15 million pounds plus the cost of buying an alternative system seemed a tad more expensive compared with a mere 880 metal stakes... So, new really beefy stakes were sourced and samples submitted for approval. A few weeks later. We were informed the sledgehammer isn't man enough for the task. Buy new sledgehammers. 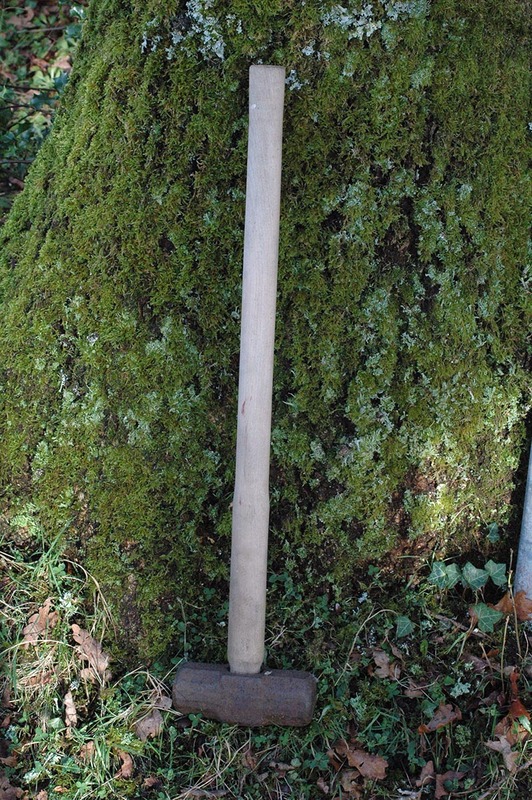 A new bigger sledgehammer was sourced and supplied for approval. Further tests were made but the new stakes were still being bent and the sledgehammers shafts are being damaged by the super-strong stakes. Find stronger stakes and better sledgehammers.... At this point the technical boffins managed to convince the pseudo technical people that it was time to call an end to the discussion. Maybe the document relating to HDRS deployment could make it clear the stakes were to be bashed into decent ground and not solid rock... or words to that effect? Below is a liberated (scrapped) HDRS sledgehammer to which I fitted a new shaft, and possibly a new head. See if this discussion is still there? ever-changing propagation conditions and automates many radio operator tasks. Morse. Can operate across the entire HF spectrum using both sky and ground wave. max and min useable frequencies selecting the best frequency for communications. 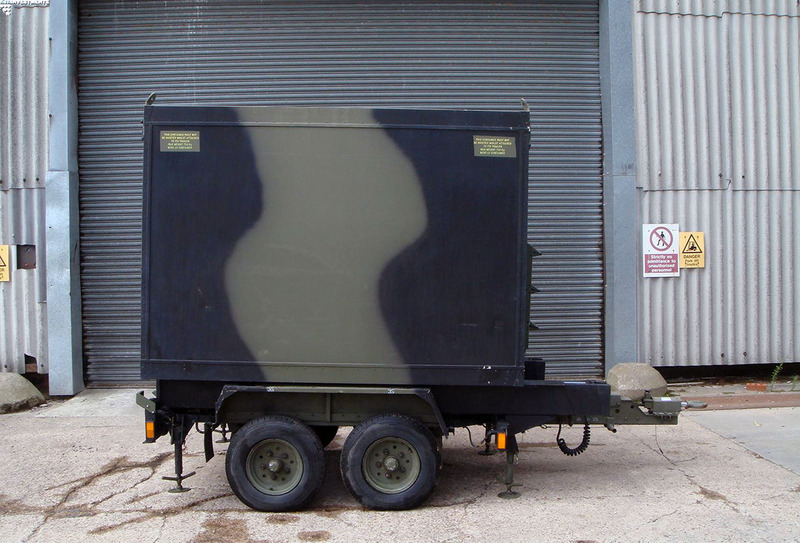 1.8 Ton, masts housing under trailer.  Isolator shelter design No S57-1252-01 Marconi Radar system. One of the difficulties faced by Plessey was the sheer amount of stuff. For example, when Ilford were asked to make good the deficiencies discovered in the hardware during Brightfire, space had to be found to store and to work on the cabins. By then the factory had expanded outwards into the freed space previously occupied by HDRS and a second factory had to be rented. This was up Vicarage Lane just after the railway bridge. Stations were kept in a yard and moved into the new factory in batches. Each cabin was equipped with a heater but complaints over the size of the electricity bills resulted in power being turned off. In a large organisation it's well nigh impossible to get your own way, so no heaters allowed... so some deterioration resulted. Nothing obvious thankfully. The manufacturing staff proceeded to make their changes. I recall it was often silly things like missing star washers on earth points. Two solder tags sharing the same securing screw and your typical bike shed problems. As each batch of cabins was processed MoD inspected and passed them as satisfactory, before the cabins were wheeled back outside into the yard in the rain, without their heaters... At Southleigh at least the heaters stayed switched on.